To support the achievement of business and people objectives within the Firm, by providing professional, commercial and pragmatic HR advice and support. Providing a client focused service in assisting line managers and our people on HR related policies and practices. DLA Piper is a global law firm with lawyers located in more than 40 countries throughout the Americas, Europe, the Middle East, Africa and Asia Pacific. Our global reach ensures that we can help businesses with their legal needs anywhere in the world. We strive to be the leading global business law firm by delivering quality, service excellence and value to our clients and offering practical and innovative legal solutions to help them succeed. Our clients range from multinational, Global 1000, and Fortune 500 enterprises to emerging companies developing industry-leading technologies, as well as government and public sector bodies. 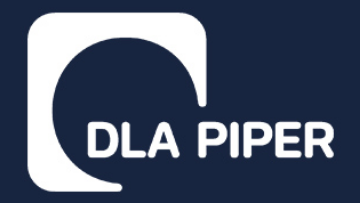 At DLA Piper we are working hard to ensure that our talent pool is diverse. For us, diversity isn't just about visible differences, it's the unique blend of talents, skills, experiences and perspectives that makes each of us an individual. We know it's crucial to have a culture and environment where those differences are genuinely valued and that's why we strive to be a business where everyone can thrive, develop and succeed based on their talent. Our aim is to build an inclusive and supportive culture where all our people feel they belong and can achieve their best. We recognise that people have responsibilities and interests outside of their career and that as a business, we all benefit from working flexibly. That's why we are open to discussing with candidates the different ways in which we are able to support requests for agile working arrangements. In the event that we make an offer to you, and where local legislation permits, we may conduct pre-engagement screening checks that may include but are not limited to your professional and academic qualifications, your eligibility to work in the relevant jurisdiction, any criminal records, your financial stability and references from previous employers.